Newcomer Family Obituaries - Cheryl E. Burns 1956 - 2019 - Newcomer Cremations, Funerals & Receptions. Cheryl E. Burns, age 62 of Dayton, passed away Monday, January 14, 2019 at Hospice of Dayton. She was born October 23, 1956 in Dayton, Ohio, the daughter of Marvin and Gwendolyn Burns. She is preceded in death by her brother, Kevin Burns; paternal grandmother, Lucille Burns; maternal grandmother, Lila M. Redfield; maternal grandfather, Theodore Wilson Redfield Sr.; uncle, Theodore Wilson Redfield Jr.; and cousin, Jocelyn Lynch-Smith. Cheryl is survived by her mother, Gwendolyn Burns; father, Marvin Burns; aunt, Rose Lynch; cousins, Pamela Lynch, Robert Lynch; as well as numerous other relatives and friends. Cheryl was a graduate of Roth High School Class of 1974. She obtained her Master's degree from Antioch College in 2016. She worked with the Montgomery County Mediations Court after graduating and was formerly employed at Sinclair Community College as an administrative assistant in the Academic Advising Department. 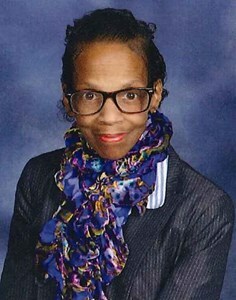 Visitation will be held on Thursday, January 24, 2019 from 9:30 to 10:30 am at Newcomer North Chapel (4104 Needmore Rd., Dayton, OH 45424). Funeral service will begin at 10:30 am. To share a memory of Cheryl or leave a special message for her family, please click the "Share Memories" button above. Add your memories to the guest book of Cheryl Burns. Cheryl and I worked together for a number of years in Sinclair's Academic Advising Dept. She was a dear, gentle soul, always so helpful and so positive. I loved her smile and personality. She has left this earth way too early. My condolences to your family. Rest in peace, dear Cheryl. Cheryl and I are first cousins and are 6 months apart in age. We graduated from high school together. She was like a sister to me and we played Barbie dolls every time we were together at grandmother’s house all the way through high school. Being artistic, she made all the furnishings and accessories, while I made the clothes. She was so creative. While in college in Columbus, she came to visit me at my school in Cleveland and attended an annual formal event as my guest. We had a blast! We even went to a club or two together or with my date. Many years later, she let me stay at her apartment in New York one summer when I was there for a work related event to save money. I will always remember the long talks we had with Aunt Gwen about life and it’s trials and tribulations. Despite the fact that neither of us ever married or had any children, we enjoyed our singlehood and career woman status. She was a jolly and upbeat person who could get you laughing no matter the situation. We already lost my sister and her brother in our generation. This getting old is no joke. You will be sorely missed, Tweetie. My heart is heavy to have lost one of my best friends.. Cheryl had so much talent and she had such a good heart. I have so many great memories of our friendship which began in 1972 at Nettie Lee Roth High. She was a fashionista way before the word become popular. That girl could layer an outfit! Peace and Blessings to Mr. and Mrs. Burns. Love you.